Florals are adorable, elegant and evergreen. You can never go wrong with them. Florals are versatile; you can add them in so many ways to your outfit from top to bottom. You can go for floral head accessories, floral tops, skirts, shorts or even floral shoes! Yes Peter Pan collar not only makes you look presentable and polished in an instant but it also looks extremely cute. You don’t have to do much with this. Just add a top with a peter pan collar and go for complementing bottoms to go with it! Lace is such an elegant piece of fabric. I love laces more than any other fabric in the world. Lace can look chic no matter how it is incorporated in your outfit. Lace is a perfect way to add chic factor and flirtatiousness to any outfit. Yes girls with all body shapes and varying heights can rock a maxi dress. 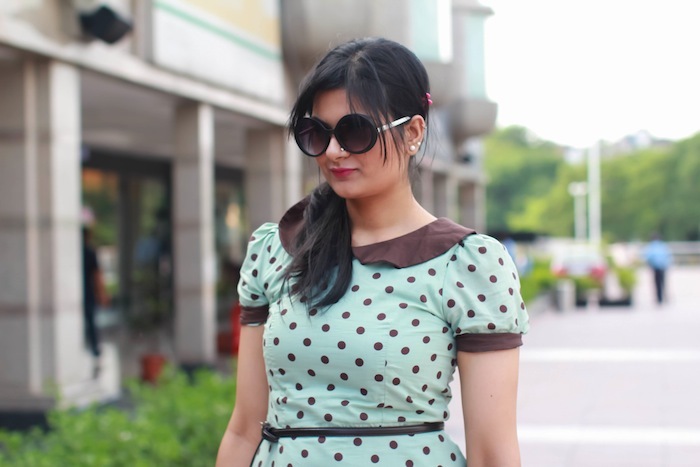 You can easily style a maxi dress be it printed or plain. You can also go for contrasting prints and textures. 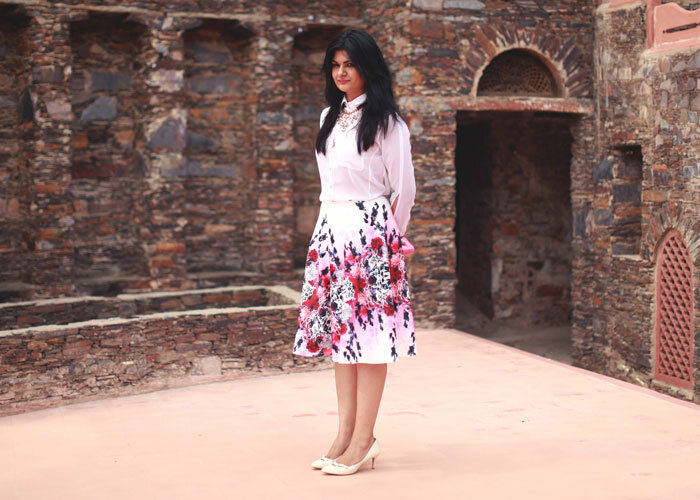 A printed maxi skirt with a pastel coloured blouse and wedges can be a great outfit idea. Off-shoulder tops are attention grabbing yet not over the top. They are perfect when want to achieve a fun and flirty without being too obvious. They are comfortable; they are laidback and look super cute. What else can you wish for in a bottom! They go with variety of footwear and you can style them in numerous ways too. 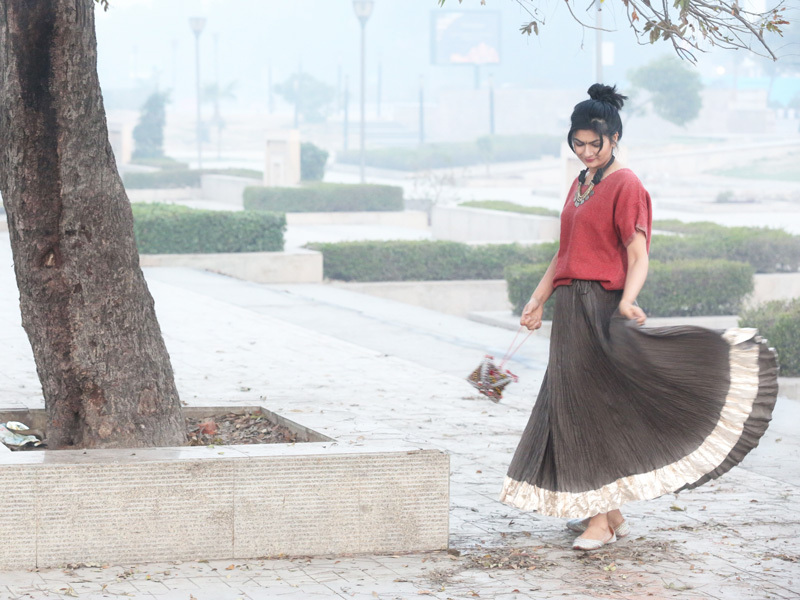 If you are not too comfortable showing off your not so toned legs and are confused about whether maxi skirts are for you or not then fret not! Skirts having knee high slits are here for you. They are more structured and have such an enigma attached to them. They will be your perfect companion for spring time. A skater skirt looks posh and fashionable. It suits variety of body types and is truly a versatile piece of clothing. You can dress them up or down due to the demand of an occasion and can also pair it with numerous tops, blouses and variety of footwear as well.